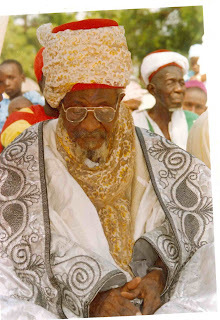 The Emir of Bukkuyum in Zamfara State, Alhaji Mu­hammad Sarkin Danko has been kidnapped by gunmen. suspected to be Boko Haram militants. According to sources at the palace, the emir was kidnapped last Friday night shortly after Maghrib prayer at his palace in Bukkuyum town and was whisked away to an un­known destination. According to a source close to the palace, the gunmen stormed the emir’s palace and engaged the palace guards in a gun duel. They were able to overpower the guards, before making their way into the emir’s sitting room where they kid­napped him. The gunmen allegedly met the emir at the palace, while he was still making his supplications shortly after congregational prayer. Sunday Sun also gathered that no life was lost during the shooting. The state Commissioner of Informa­tion, Alhaji Ibrahim Mohammed Birnin Magaji who confirmed the report, assured that efforts were on top gear to ensure the safety of the monarch. I pity the old man and still thank God on the other hand. My happiness is that this category of scenerio is what will lay bare the source and sponsors of boko haram. No one can burry the truth and go free. Allah yin hakuri! God bless Nigeria! What a pity. Is time now for all Muslims all over the world to come together to call these Boko Haram, ISIS, AL-SHABA, ALKEADA and others for discipline. Sadly they are killing but their own people and disturbing the peace of the world. They want to wipe out their own people. They behave like some sorts of occult groups.